John Sitton’s autobiography is a compelling, at times painfully honest, account of life at the sharp end of the Football League, in an era completely removed from today’s multi-million-pound business. If you’re familiar with his name, it’s more than likely through the YouTube clips taken from a 1995 Channel 4 documentary on Leyton Orient, where he was manager at the time. His expletive-laden dressing-room rants made him infamous but also contributed to his exile from the game. John Sitton hasn’t worked in professional football since 1997, despite a 15-year career during which he played in every division of the Football League, and then built a reputation as a promising coach before his ill-fated spell at Leyton Orient. Related in his trademark forthright style, this is Sitton’s attempt to set the record straight. As he points out, far worse than his passionate outbursts has occurred in the game, and continues to the present day: “Football has bigger problems than me supposedly losing control”. 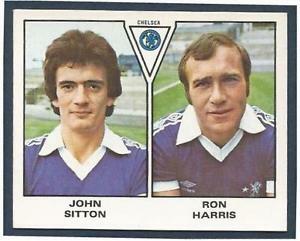 Sitton started his career at Chelsea, which was a very different club in the 1970s – in debt due to the construction of their new East Stand and bouncing between the top two divisions. Their training and medical facilities were sub-standard, and the cash-strapped club, unable to compete in the transfer market, were reliant on home-grown youngsters. A tough-tackling defender, Sitton came through the schoolboy and apprentice ranks in the mid-70s alongside a batch of future first-team players including John Bumstead, Gary Chivers, Mike Fillery, Tommy Langley, Micky Nutton, and the Wilkins brothers, Graham and Ray. Together with the general lack of amenities, the playing surfaces of the time, even at the top level, fell woefully short of today’s standards. 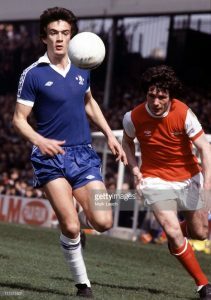 Sitton refers to one of his earliest games for Chelsea, against champions Liverpool in 1979-80, and his polite description that “the pitch was cutting up” is backed up by match footage. In addition to the poor playing conditions, there was also, as at many clubs, a culture of heavy drinking. He praises the coaching and management of Dave Sexton, Eddie McCreadie, Ken Shellito and Dario Gradi, but after barely a dozen first-team appearances Sitton fell foul of manager Geoff Hurst (the club’s sixth manager in Sitton’s six seasons as schoolboy, apprentice and professional). He moved on to Millwall, where he spent a happy 18 months, though with even worse facilities, followed by four seasons at Gillingham, where his team-mates included Steve Bruce and Tony Cascarino. His playing career ended in 1991, after five years at Orient. 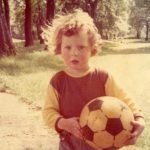 Throughout, he was exposed to short-term thinking, dishonest contract offers and paranoid managers who can decide the course of a player’s career on a whim – all of which informed his determination to do things differently when he had the chance. Unfortunately, his managerial opportunity came at a club in crisis, Leyton Orient, where he took charge in April 1994 with joint manager Chris Turner, the former Manchester United goalkeeper. Sitton was left to juggle six roles, interference from above, lack of funds and facilities, and under-achieving players without his own work ethic and commitment to the cause. Hence the notorious YouTube clips, expressing his frustration that the team’s “effort, application, will and determination to win” fell short of his own. Despite a wealth of experience and knowledge – with a full set of coaching badges, he was employed by the FA as a Coach Educator until 1997 – Sitton has not worked in professional football since his sacking by Orient at the end of the 1994-95 season. John Sitton’s self-published autobiography provides a fascinating first-hand account of an age before the corporate greed of the Premier League, but dispels any cosy nostalgia surrounding the era – he is particularly scathing about the lack of basic medical and training facilities. 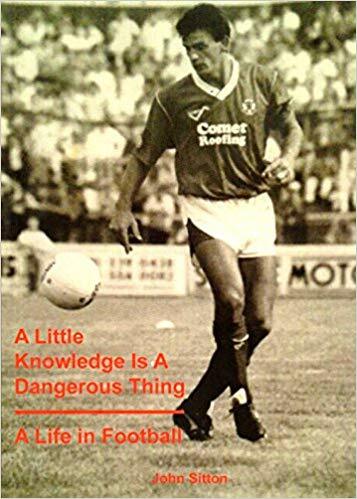 For those who only know the ranting Sitton at Leyton Orient, the book is a revelation, down to the eye-opening financial details, back-stabbing and double-dealing, which puts his frustrations into context. Though he also blames himself for being “blinded by arrogance and ambition”, he was never given a second chance. He vividly portrays the workings of an industry where getting a job depends on your name and connections rather than ability. Ostracised from the game, though still an avid watcher, he is now re-trained as a London black cab driver. While acknowledging the massive improvements in modern player welfare and rewards (not to mention the pitches), he remains understandably bitter at his treatment by professional football, which he admits has “taken a long time to come to terms with”, and the role of television in his demise. It is worth watching one of the series of podcasts he has done in recent months, also on YouTube, to give perspective to his public image, and hear his insights on the game he should still be working within. This is an entirely independent review; I have no affiliation with John Sitton whatsoever. Please check the book’s availability at http://therealsitts.co.uk/ – I highly recommend it. Great piece – Looking forward to reading the book. Thanks Glenn, I’m sure you’ll find it worthwhile. Kept me interested throughout and gives a real insight into the workings of professional football. John doesn’t hold back!